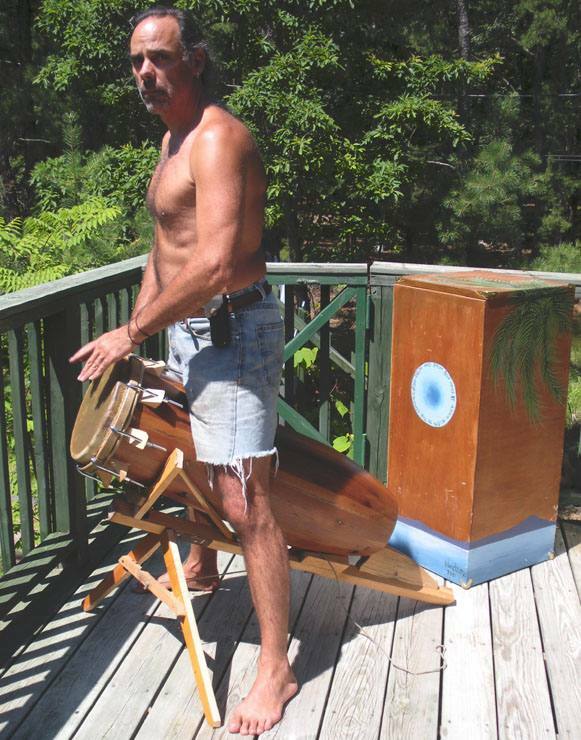 This was my first drum from scratch, made from recycled redwood deck two-by-fours and loosely based on a conga made from 2x4s I once got to play. It stands over a meter high. It has a nice mellow tone but it's so long and the bottom hole is so large that the bass note is muted unless the drum is almost horizontal – not that true conga players would care, but I do. So I built it a stand: scroll down to see it in action. 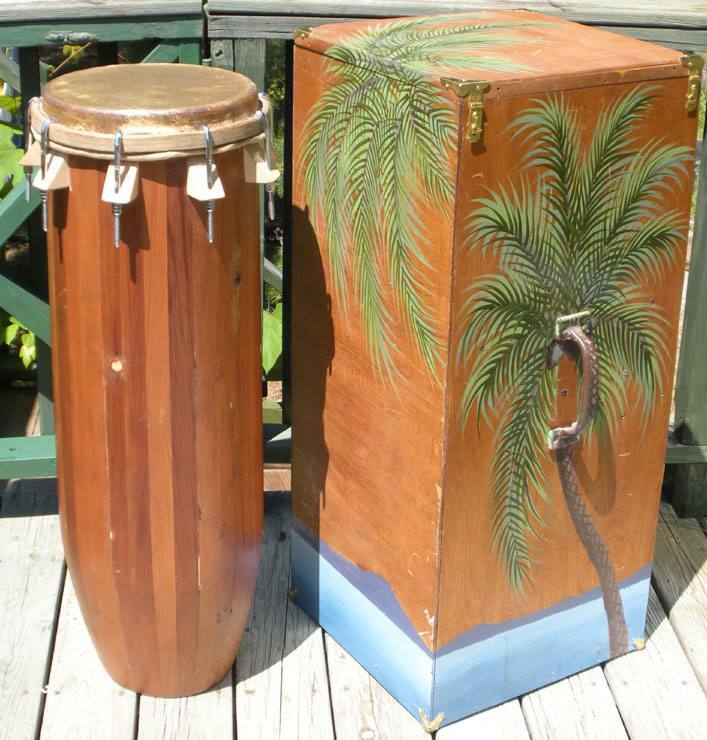 Box painted by Patricia Windrow. Don't think just anyone can look like this if they drum long enough. Diet also helps. And a good well-rounded grounding in the arts and sciences.